Like many other Eastern and Central European countries, Czech Republic has also felt the pressures of trying to adapt to the long prevalent and assimilated western values, in its evolution as a growing European democratic ex-communist state. And as other ex-communist states, it still has some ground to catch up on in relation to the transparency of the politicians, and the trust of the people in their governments and their leaders. Infiltration of corrupt actions was easily achievable during the 1990’s wave of privatizations, which blurred the much needed delimitations between politics and personal achievements, businesses or tainted ideals masked under the fresh fight for freedom and democracy. This was one of the complex issues that added to the unfortunate plight of the new generations and people to come, as it was hard for people to adapt to the ever growing changes in an appropriate manner. The newly achieved freedom left a much bigger space available for people who understood, more or less, and more easily, these new ideals, therefore it was a lot harder for Roma to adapt and carry on with their past crafts and services. In light of recent actions taken by a vast number of people, during the last 2 months, the violent riots in Czech Republic, which have been solely addressed towards the exclusion and eradication of Roma people, relates a somewhat grim mentality that an unfortunate amount of people share in the country- on extremely important values relating to human rights. These mentalities used to be shared on a large scale only within neo-Nazi and extremist circles, however since 2011 there has been a considerable, visible increase in followers of the neo-Nazi and extremist mentalities. Anti-Roma demonstration, neo-Nazi`s alongside regular inhabitants of the area. Sadly, this is not the first time this kind of demonstrations are occurring. However, recently they have been most violent and ruthless. In 2011 The Open Society Foundations publicly criticized the Czech government with regards to the situation of Roma. The OSF said that the Czech Republic was on the right track, but stopped making the right decisions because of political reasons and because of the public opinions, existing in the country. OSF pointed out that in comparison to schools in Macedonia and Slovakia, Czech schools are much better equipped with what is needed for the inclusion of Roma into the school system. However is failing to do so in the totality of the localities that benefit from the tools, funds and people that are there to help with the inclusion of Roma. In 2009, a Roma household of 7 people was attacked with Molotov cocktails. The house burned down. At the time Natalka Kudrikova was two years old – she suffered terrible burns on 80 percent of her body. For this horrible attempt at murder, the perpetrators were initially sentenced to an average 20 years in prison each. The sentence was outrageously described in the Czech news as severe. This is only one example of terrible actions taken against Roma in Czech Republic, for racist reasons. Making it very clear that the Czech Republic has major issues that need to be tackled in relation to basic human rights Roma people should have in the country. However, these issues remain unaddressed on a large scale, and are causing irreparable psychological damage to Roma people, as well as physical in some cases, as was the case of Natalka, the two year old girl who was severely burned in the Molotov cocktail attack from 2009. One of the main reasons that caused the shocking recent rage and the malicious actions against Roma people, was a letter that circulated on the internet, containing a list of all the money and reasons for which Roma are entitled to receive benefits from the Czech state. A fully fabricated document, which caused terrible consequences: exactly what its fabricators were hoping for. It is naive and illogical to believe that people characterized by huge poverty problems in Czech Republic, and all over the world for that matter, receive the considerable amount of 230,000 Czech crowns, as a one off payment, simply by adhering to the funds and because they are Roma. These were the claims of the document, which was fully denied by local officials, and described as absurd. And it is also clear that this letter was created with the sole purpose of creating reasons which the neo-Nazi’s could use in order to provide excuses for their actions. August, and especially the last weeks of August, were incredibly tense and violent, as the largest hunt for Roma people was unfolding simultaneously in 8 cities in Czech Republic, the biggest and most violent protests against Roma in the history of Czech Republic. However, brave counter-opposition resistance operations were also initiated by Konexe, an NGO which provides help and advice, educational activities, civil campaigns, and organizes petitions, generally fighting for human rights to be respected. The participators of the Konexe operations are Roma people, NGO workers and activists, who were, luckily, successful in stopping some of the attacks against widely-known Roma neighborhoods. The Konexe operations unfolded in the following cities: Usti nad Labem Region – Duchcov, Decin, Varnsdorf and Usti nad Labem. The whole point of these counterdemonstrations is for police to come to their aid, in order to stop the neo-Nazi crowds from going through certain squares or streets, and therefore stop them from reaching Roma neighborhoods. More precisely, the counter-demonstrators, peacefully occupy certain strategic areas in order to stop the extremists from reaching certain places. Gwendolyn Albert, human rights activist and former inhabitant of the Czech Republic helped me better understand the backgrounds and reasons for which these situations exist, and why they have been persisting for so long. In relation to the Konoxe operations, Gwendolyn said that it is “completely up to the local administration” with regards to the help that they may or may not receive from the police, as some are against the neo-Nazi’s, but some are not. Legally speaking the police needs to offer them support and to protect them. Nonetheless, counting on them is not always the case for the counterdemonstrators. Gwendolyn also told me that in some cases the local administrations fund Roma community centers however this means that the Roma people that benefit from these places are constricted to abiding by their rules, or else the funds will be cut. For example, in some cases they are encouraged not to protest or join the counterdemonstrators, so basically they are encouraged to not fight for their rights, and when there are neo-Nazi protests occurring, the police would ask Roma people to stay locked in their houses, for their own safety. From Ms Hrabanova’s comments one can understand that some of the political tactics are, for lack of a better word at least dubious. The simple fact that there is so much need for country-wide, peaceful occupation operations, just to stop further anti-Roma marches from occurring, is of course, not to be taken lightly. From my chat with Gwendolyn I also further understood the political reasonings of some of the country’s parties. There are parties that use ultra-right reasoning, close to election times, in order to get better following and public attention. These tactics involve complaining about ‘inadaptable’ people (Roma people) and being against immigrants, which means that they basically allude to ridding the country of these people and ‘problems’. There is a lot of injustice and deeply imbedded indoctrination against the Roma, in the media, and also on online surfaces, making it very difficult for Roma to become accepted and to lead normal, unafraid lives. The EU seems to either be blind to the real situation or simply overwhelmed by it, although there are funds allocated towards bettering the situations existing in the country, many don’t end up benefiting from them, due to unfortunate cases of corruption. Of course there is work being done towards the bettering of these recently prevalent situations in Czech Republic, however it does seem like it is not going to be smoothest nor fastest ride. The Konexe operations, the activists, and NGO’s do the absolute best they can to help boost the moral of Roma people within Czech Republic, a much needed practice for a people under that much abuse, and to protect them from neo-Nazis as these unimaginable situations so often unfold in the lives of Romani people living in Czech Republic. Kostlán, F. Czech anti-racist activist Míra Brož: Pogroms with Romani deaths, or a Romani Malcolm X, may be the future – Romea.cz. 2013. Czech anti-racist activist Míra Brož: Pogroms with Romani deaths, or a Romani Malcolm X, may be the future – Romea.cz. [ONLINE] Available at: http://www.romea.cz/en/news/czech/czech-anti-racist-activist-mira-broz-pogroms-with-romani-deaths-or-a-romani-malcolm-x-may-be-the-future. [Accessed 01 October 2013]. Conkova, M. I., t. Albert, G. http://romareact.org. 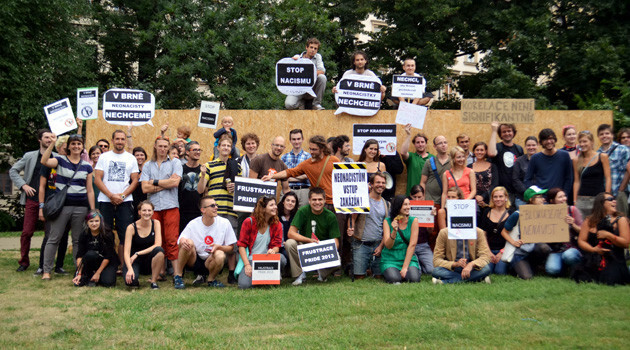 2013. http://romareact.org. [ONLINE] Available at: http://romareact.org/news/view/1336. [Accessed 26 September 2013]. CNN Wire Staff. Czech neo-Nazis jailed for arson attack on Roma – CNN.com. 2013. Czech neo-Nazis jailed for arson attack on Roma – CNN.com. [ONLINE] Available at: http://edition.cnn.com/2010/WORLD/europe/10/20/czech.republic.arson.verdict/index.html. [Accessed 26 September 2013]. 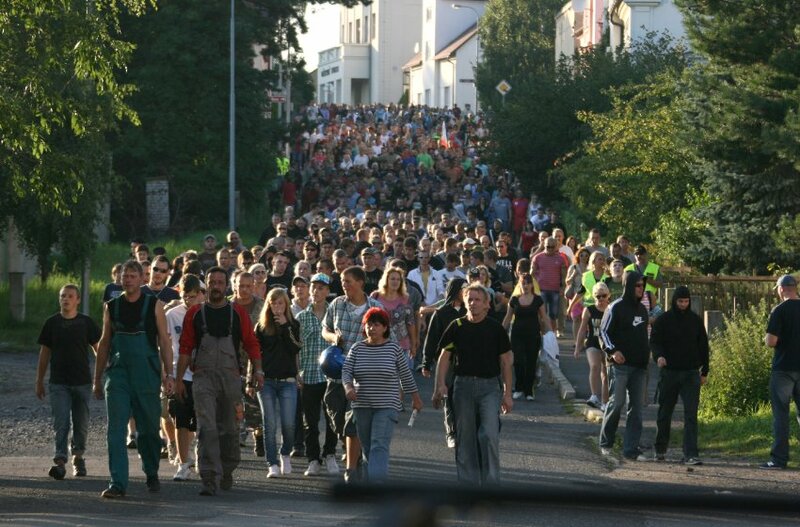 Info on 24/8/2013 – antiroma riot wave in Czech Republic | Roma. 2013. 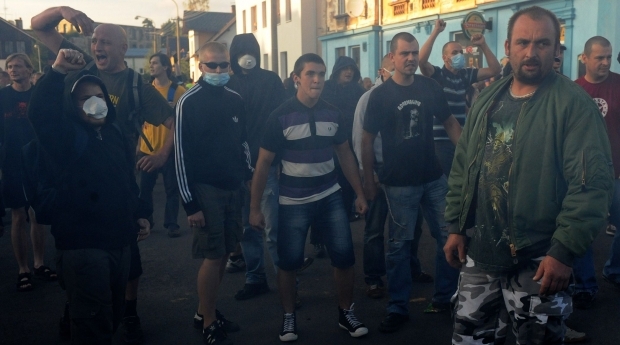 Info on 24/8/2013 – antiroma riot wave in Czech Republic | Roma. [ONLINE] Available at: http://roma.idebate.org/news-articles/info-2482013-antiroma-riot-wave-czech-republic. [Accessed 26 September 2013]. 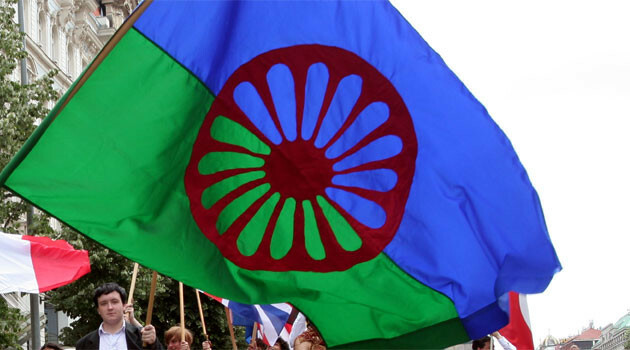 Smith, H. Anti-Roma sentiment grows in Czech Republic – Europe – Al Jazeera English . 2013. Anti-Roma sentiment grows in Czech Republic – Europe – Al Jazeera English . [ONLINE] Available at: http://www.aljazeera.com/video/europe/2013/08/201383013420633378.html. [Accessed 26 September 2013]. Broz, M. http://romareact.org. 2013. http://romareact.org. [ONLINE] Available at: http://romareact.org/news/view/1331. [Accessed 28 September 2013]. Anti-Roma riots spread in Czech Republic raising fears – Aktualne.cz. 2013. Anti-Roma riots spread in Czech Republic raising fears – Aktualne.cz. [ONLINE] Available at: http://aktualne.centrum.cz/czechnews/clanek.phtml?id=713883. [Accessed 28 September 2013]. Roma. 2013. Roma. [ONLINE] Available at: http://roma.idebate.org/. [Accessed 28 September 2013]. For the dignity of Roma people in Europe! | Roma. 2013. For the dignity of Roma people in Europe! | Roma. [ONLINE] Available at: http://roma.idebate.org/news-articles/dignity-roma-people-europe. [Accessed 28 September 2013]. Kostlán, F. Analysis: Police in Ostrava intentionally failed to protect anti-racist demonstration – Romea.cz. 2013. Analysis: Police in Ostrava intentionally failed to protect anti-racist demonstration – Romea.cz. [ONLINE] Available at: http://www.romea.cz/en/news/czech/analysis-police-in-ostrava-intentionally-failed-to-protect-anti-racist-demonstration. [Accessed 28 September 2013].